Hamiltona (angļu: Hamilton) ir ostas pilsēta Ontārio provincē, Kanādā. ↑ Thomas Melville Bailey. Dictionary of Hamilton Biography (Vol II, 1876-1924). W.L. Griffin Ltd, 1991. ↑ "Don't put The Hammer down; Hamilton's had lots of nicknames, but this one's like the city -- no pretence," Paul Wilson, Hamilton Spectator, December 6 2006, p. G2. ↑ «Community Highlights for Hamilton (City)». 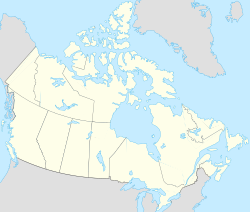 2001 Canadian Census. Statistics Canada. Skatīts: 2008-01-04. ↑ «Stats Canada 2006 Canadian Census: Hamilton, Ontario». Statistics Canada. Skatīts: 2008-01-04. Šī lapa pēdējoreiz labota: 2015. gada 2. marts plkst. 20.43.